Diana’s passion for the ancient and practical wisdom contained within the Enneagram and her inquiry approach to coaching is evident in her teaching focus and style. Diana has been a professional coach working with individuals, coaches and teams for almost two decades, completing her initial coach training with Coaches Training Institute in 1998. She served as faculty member of San Francisco State University’s Core Strength Coaching Program and is an ICF mentor coach, known for facilitating deep trust in the coaching process and an ability to attune to the client’s unique transformational path. Diana is currently a Senior Faculty member at Deep Coaching Institute (DCI) and shares in the teaching of all four parts of the nine-month Deep Coaching Certification program. Her dedication to the art and science of masterful coaching includes teaching coaching skills to team leaders desiring to create more collaborative, generative work environments. Radical acceptance of self as a means for experiencing one’s own expansive nature and natural capacities is a cornerstone of her work. The methodology of DCI provides a platform for coaching that opens the door to a more holistic view of self with the resultant ability to help clients actualize their deepest desires. Diana’s work draws from an extensive discipline of yoga, meditation, and scriptural studies, including Kashmir Shaivism and Vedanta. She studied in India with Siddha Yoga master Swami Muktananda and then spent the next eight years traveling with him, serving as faculty in teacher training programs while cultivating her own practice. 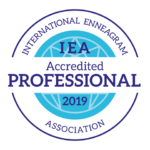 Diana is a certified Enneagram teacher through the Enneagram Institute and accredited teacher with the International Enneagram Association, speaking at conferences worldwide. 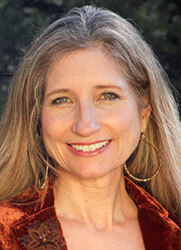 Her home is in San Rafael, CA where she enjoys dance, improvisation and continued spiritual work as a Diamond Heart student with Sandra Maitri.